Edit your client task emails to suit your firm's own personality and style. 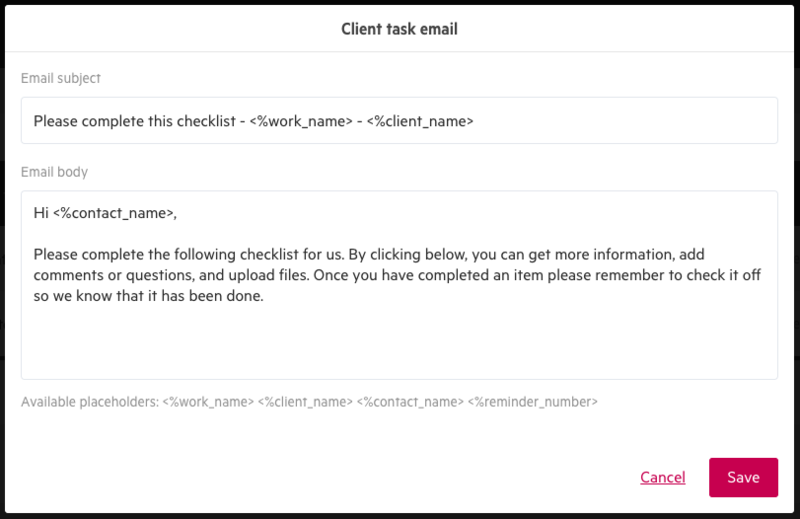 Your client task emails and reminder emails can be edited from within the client task setup module. If client task emails are customized on a template, all work created from the template will adopt these changes and have the same client task emails. To do this, you can follow the same steps outlined below. If you would like to create a customized client task email for a specific client or contact, this may be done in the work item. If the work is set up on a schedule, all work in the series will adopt the customized email. 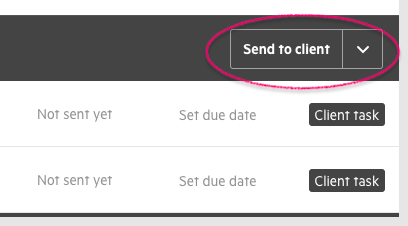 From within the work item's task tab, select Send to Client on the client task module. 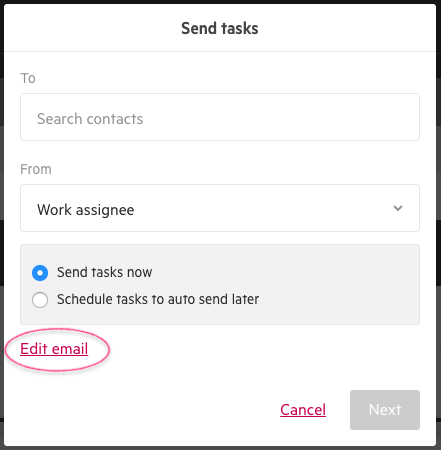 A modal will appear where you can Edit email. The default email is shown, which can be customized to suit your firm and clients. You can use placeholders to auto-populate with text specific to the client or work item. These are listed below the email text, so that you can copy and paste them. 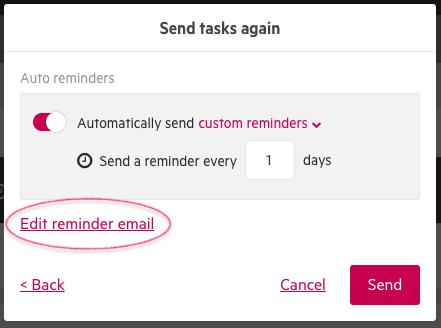 Once the client task email is customized and saved, you are brought to the reminder set up where you can not only set the reminder schedule, but also edit the reminder emails.